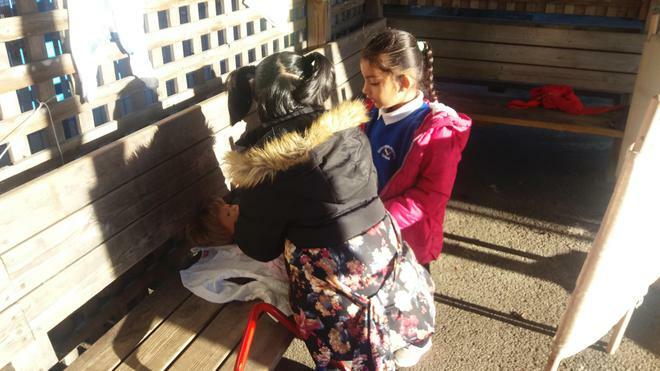 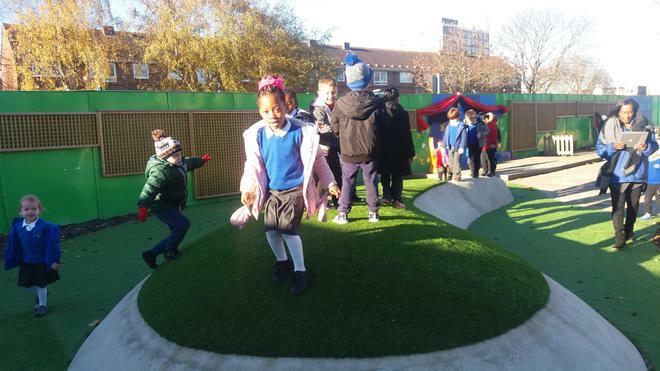 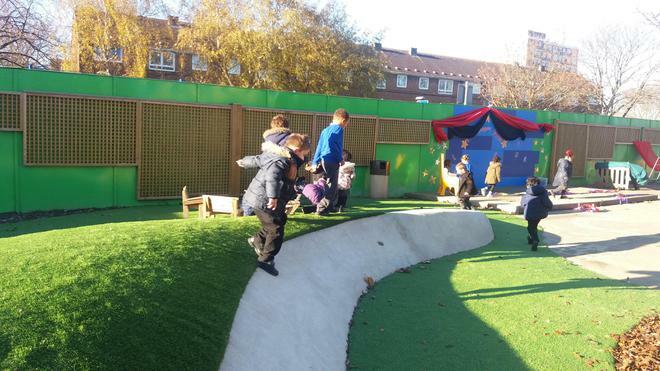 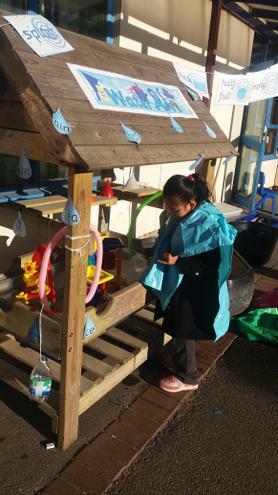 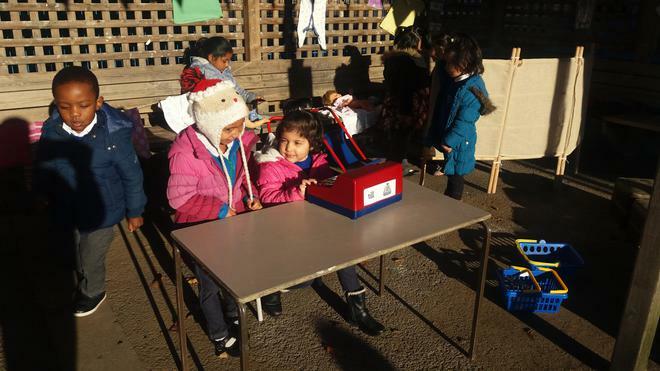 The EYFS children are having a lot of fun in the Reception outdoor area. 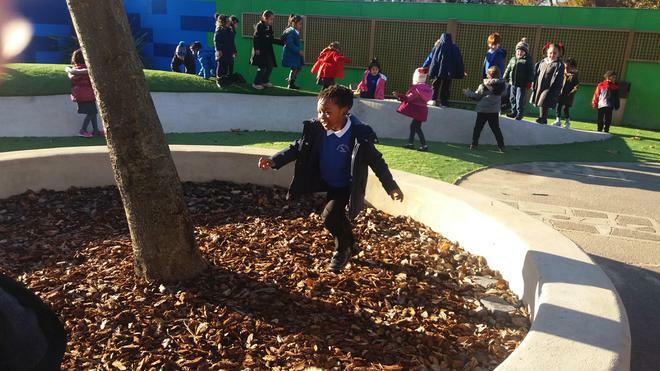 Lots of opportunities to be active! 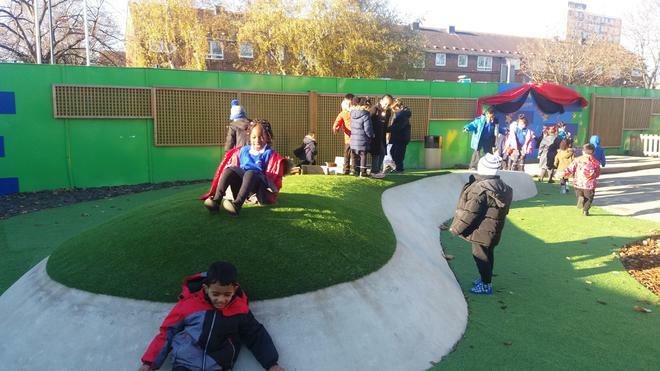 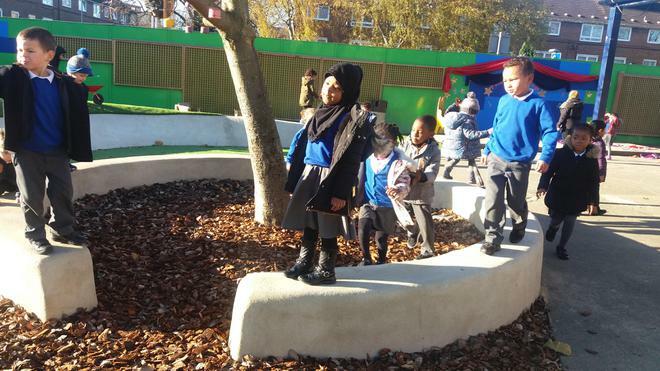 The outdoor area improvements in Reception! 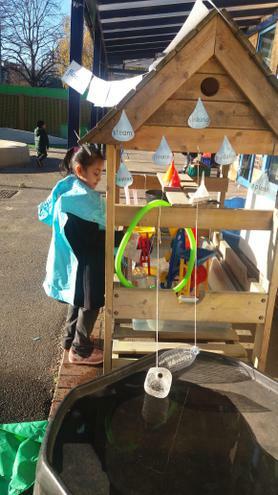 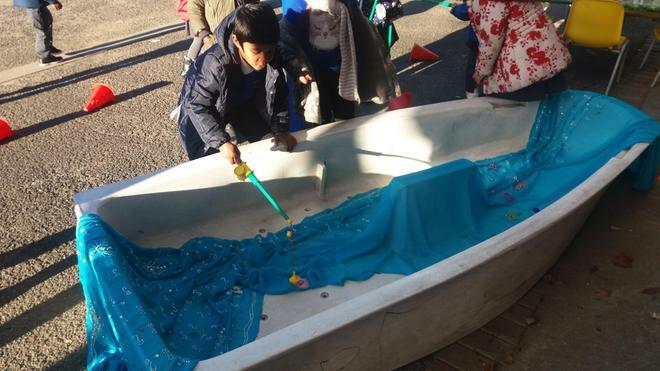 Eduard in Ofeefee clas is having a great time counting out pebbles in the outdoor Water trough! 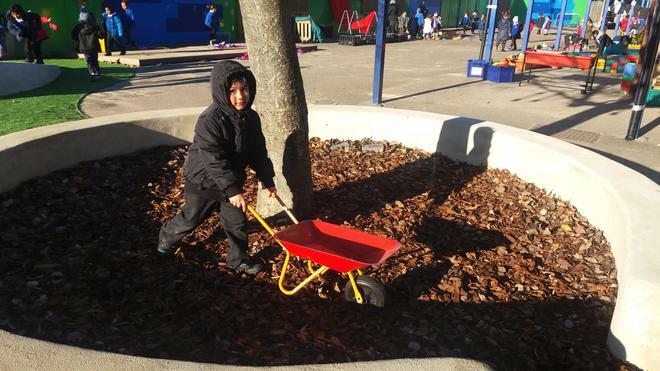 He counted 54!